You guys!! This lifestyle family session was the stuff that a photographer's dreams are made of! Even with a very ornery two year old running around, we had so much fun playing and exploring and enjoying a gorgeous golden evening at Buck Creek State Park in Springfield, Ohio. Now this so happens to be one of my best friends, and I know she was worried about her kids acting up and not getting good photos. Well, she didn't have to worry, because this is what I do. I chase your kiddos around and catch all of the fun in between moments, hugs and smiles that mean so much to a mama's heart. These guys were so cuddly too, which made it even more fun for me. And she always hits it out of the park with the perfectly imperfect wardrobe that coordinates with just a touch of eclectic style. LOVE!!! I had a hard time choosing favorites to post! 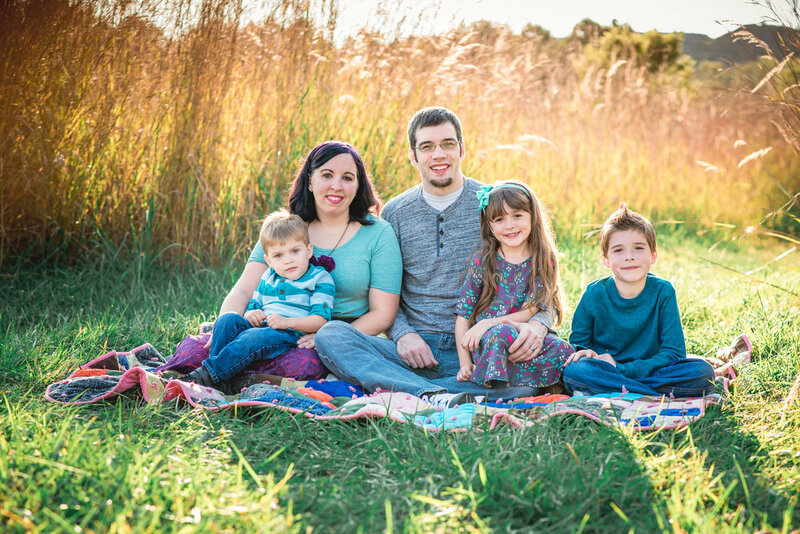 Enjoy this laid back, super fun, super snuggly sunset family session! Contact me today to book your fall family session! I would love to capture all of the love and fun of YOUR family!!! Only a few fall sessions available! !